Moving a business can be tricky. When your business is retail, moving can be exceptionally challenging. Aside from relocating all of your company’s operational items, you also have to worry about keeping accurate stock of your merchandise and then moving them according to their unique specifications. Allow the professionals at Piedmont Moving Systems to handle the difficulties of your San Jose retail transport. As a premium retail logistics and moving company, we demand the highest of standards from our expert movers to guarantee your relocation is smooth and seamless. The professionals at Piedmont Moving Systems recognize the importance of detailed planning and clear communication with all of our customers. To ensure your move runs efficiently, we will not only organize and coordinate your relocation, but one of our highly skilled project managers will be with you every step of the process. Step One: You give us a call or complete the online request form for a free, no-obligation moving estimate. We will schedule an appointment to come walk through your facility and discuss your moving needs. Step Two: We layout your custom moving plan, giving you options to guarantee your ideal move. You will also receive a list of dates and times to choose from to ensure your move works for you. Step Three: We finalize your moving details such as what size truck will fit into your facility, where we can park are trucks, conduct a site survey to see all pieces that need to be loaded, and determine if we need extra men at either end to help deliver a seamless relocation. Step Four: It’s moving time! Our professional movers will smoothly transition your company’s items to the new location. Customized Move Management: One of our project managers will be available to you throughout the moving process to answer any and all questions along the way. Extensive Experience: Our trusted professionals have more than 37 years of experience, offering the white-glove treatment to all of our San Jose retail logistic customers to ensure a seamless relocation. Specialized Equipment: Our air-ride trucks guarantee a smooth ride for your inventory and our cutting-edge equipment allows us to properly handle all of your retail items. Warehousing and Storage: Our San Jose retail warehousing facilities offer a safe and secure space for your items as you transition them from one location to the next. 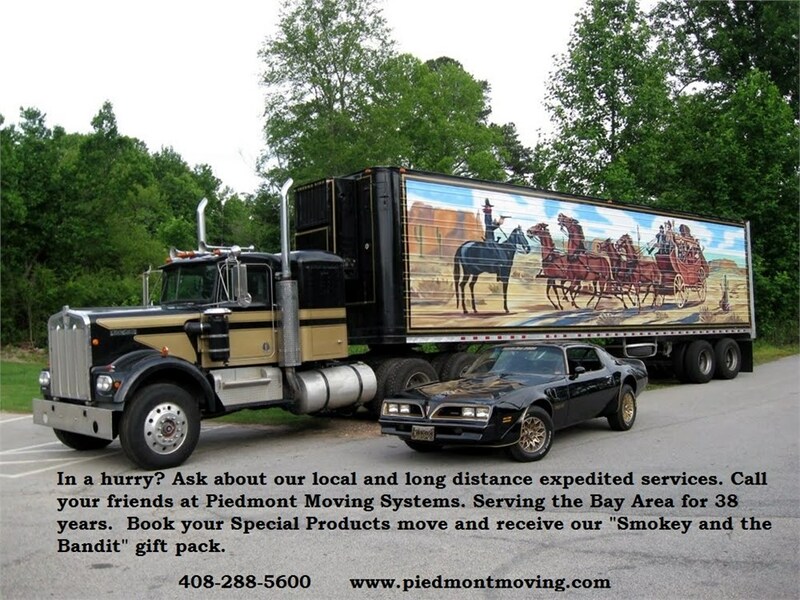 Piedmont Moving Systems is the trusted retail transport company you need to streamline your business’ relocation. Our experts will do their homework ahead of time to ensure your San Jose move is easy and effective allowing you to get your doors back open to your customers as soon as possible. To learn more about how Piedmont Moving can remove the hassles and headaches of retail relocation and warehousing, contact us today. Give us a call or fill out the online request form for a free, no-obligation moving estimate and we will contact you.